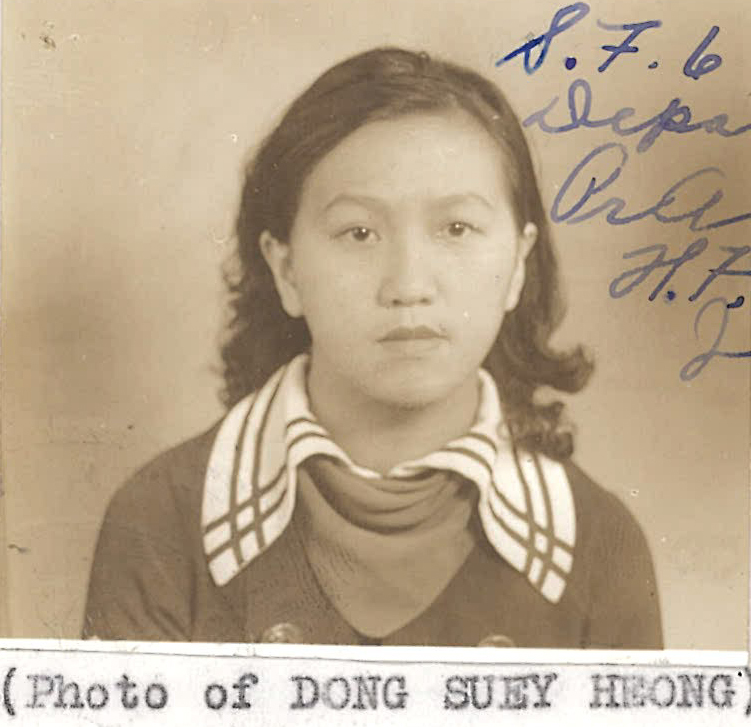 “Dong Suey Heong (Rose Dong) statement photo,” 1936, Chinese Exclusion Act case files, RG 85, National Archives-Seattle, Dong Suey Heong file, Seattle, Box 700, Case 7030/8867. Miss Rose Dong (Dong Suey Heong) left Sacramento, California for Canton, China in June 1936 with her American teacher, Miss Hartley. She left before her application for her Form 430, Native’s Return Certificate, was completed and approved. Her mother, Quan Shee, died in Sacramento on 15 November 1934 and her father, Dong Haw, was unable to help her with her paper work before she left. Donaldina Cameron, Special Director Chinese Case Work at Presbyterian Mission Home in San Francisco, a friend of Miss Dong’s late mother helped with the necessary forms, certificates and affidavits so Miss Dong could get back into the United States. Miss Cameron was well known on the West Coast for her work with the Chinese. She wrote letters to Mr. Raphael P. Bonham of the Seattle Immigration office and Mr. Philipps Jones of Angel Island Immigration Service. Rose Dong was only gone one month and needed to get back on time to start the autumn semester for the Junior College at Sacramento. Miss Cameron testified that Rose had three younger sisters: Ella, Laura and Evelyn, and a younger brother, Richard; that she had been friends with Rose’s mother for many years and first met Rose about five years previously. Rose Wong’s father Dong Hoo (Dong Haw), a merchant and manager of Yick Chong Company in Sacramento swore in an affidavit that Rose Wong was his lawful blood daughter, born 24 March 1916 in Sacramento. Immigration authorities requested affidavits of supporting witnesses willing to give testimony in Rose’s behalf and a copy of her mother’s death certificate. A copy of Rose’s birth certificate is also in the file. Rose returned through San Francisco on 19 August 1936 and was admitted six days later. She was paroled to Miss Cameron. Rose’s paper work was completed and approved with the assistance of Donaldina Cameron. 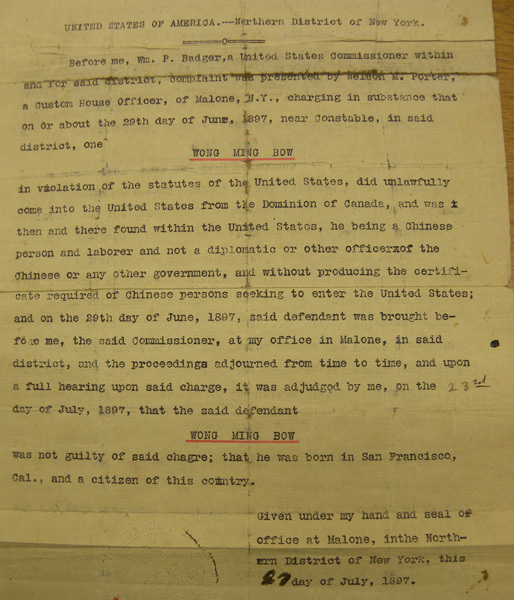 “Red Marriage Paper for Lee Shee and Gum On,” Chinese Exclusion Act case files, RG 85, National Archives-Seattle, Lee Shee file, Seattle, Box 154, Case 2150/10-3. 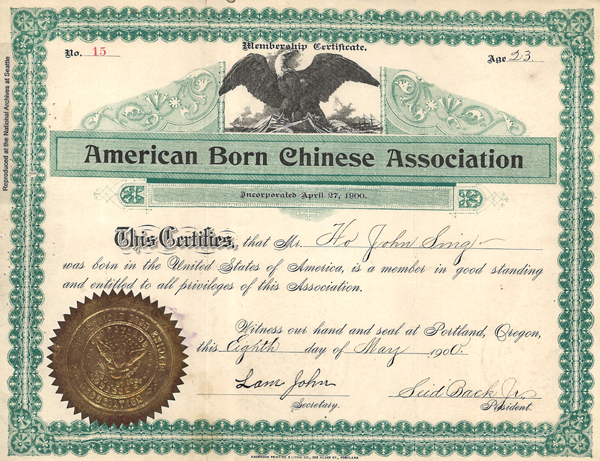 Lee Shee, wife of Gum On of 937 Race Street, Philadelphia, Pennsylvania, arrived in Seattle on 20 July 1924 with their two sons, Yue Dok, age 16; and Yue Bun, age 10 years. 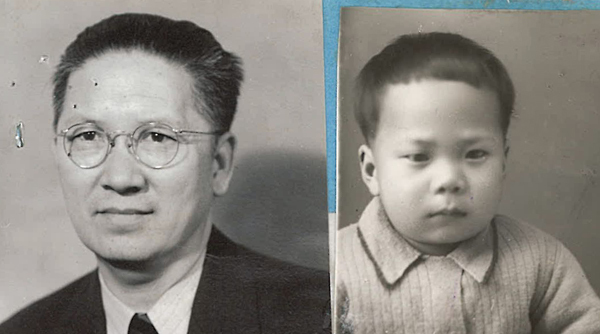 The sons were admitted to the United States as sons of a U.S. citizen but Lee Shee was detained at the Immigration Quarters in Seattle for six months. In December she was nine months pregnant and Immigration allowed her to land temporarily. A bond for $1,000 was taken out to assure that she left at the required deadline. Eventually the bond was extended until July 1929. Lee Shee, her husband, and children returned to China in April 1929. During the interrogation the immigration inspectors asked Gum On if he could provide any evidence to show that he was married. Gum On gave them his Red Marriage Paper. It stated that he was married to Lee Shee and listed four generations of his family–his parents, grandparents, great grandparents, and great, great grandparents. A translation of the document is not included in the file and the inspectors did not comment on it. “Dr. 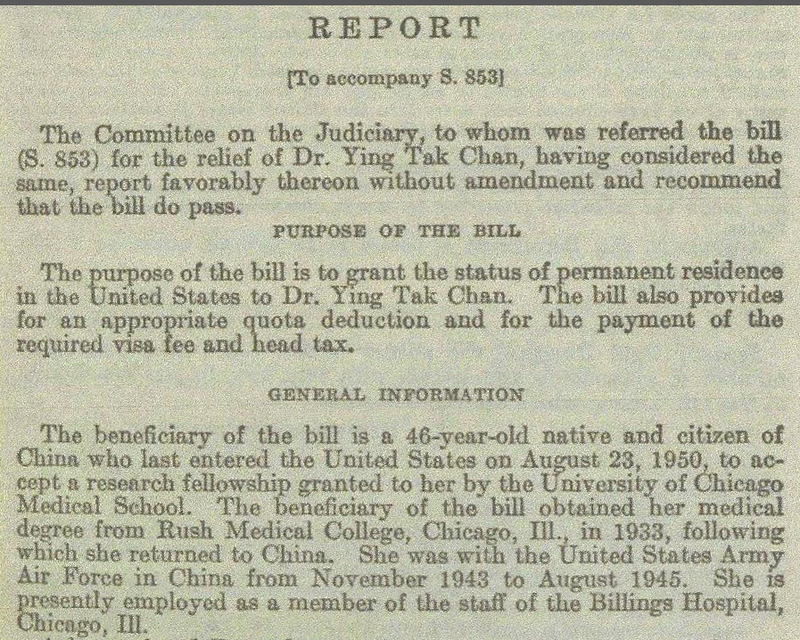 Ying Tak Chan,” Committed to the Committee of the Whole House…, 82 Congress, 2d Session, Serial Set Vol. No. 11576, House of Representatives Report No. 1689 (http://genealogybank.com : accessed 9 Mar 2016). 1. 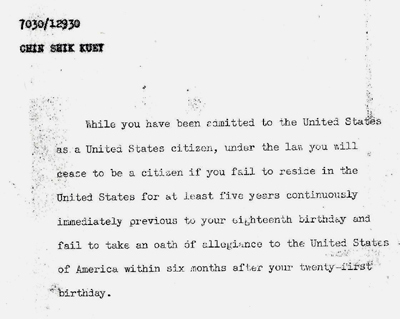 “Repeal of the Chinese Exclusion Act, 1943,” U.S. Department of State, Office of the Historian, (https://history.state.gov/milestones/1937-1945/chinese-exclusion-act-repeal : accessed 11 Mar 2016). 2. “Dr. 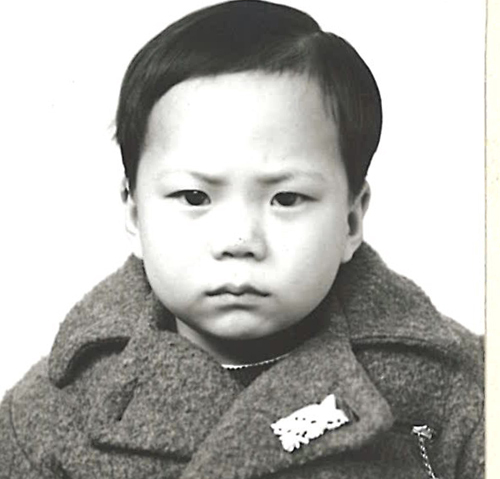 Ying Tak Chan, 62, Ex-School Physician in D. C.,” Evening Star, Washington, District of Columbia, 27 Nov 1958, p. 24 (http://genealogybank.com : accessed 9 Mar 2016). 3. 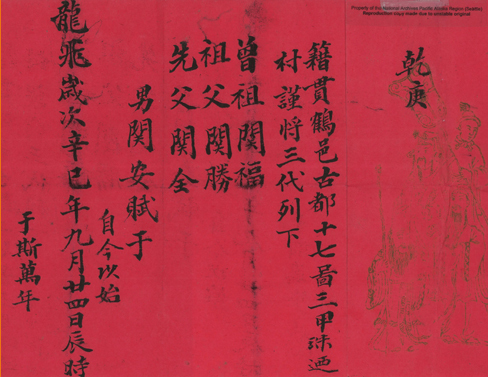 “An Act for the relief of Doctor Ying Tak Chan,” Private Law 638, Chapter 307, S. 853, Superintendent of Documents, United States Printing Office, (https://www.gpo.gov/fdsys/pkg/STATUTE-66/pdf/STATUTE-66-PgA71.pdf : 9 Mar 2016). 4. “Dr. Ying Tak Chan,” Evening Star.